As if the South End weren’t already bursting with new ventures, we can now add another to the list: Citizen Cider, which will move its production and tasting room to 316 Pine Street by the end of the year. 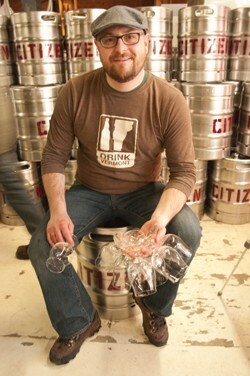 Though Citizen Cider’s tanks are still filled with 25,000 gallons of apple juice from the harvest, co-owner Kris Nelson and his two partners plan to plunge into the “tricky” move from their current Essex location to the 7000-square-foot space by mid-December. “We signed the lease last week, and we’re excited to be growing,” says Nelson, though the federal government shutdown caused a hiccup in their plans when a U.S. Small Business Administration loan was delayed. The former U-Haul depot on Pine Street has west-facing windows looking toward Lake Champlain, where Citizen Cider will build a tasting room of 40 to 50 seats, Nelson says. Other windows will look out on the production area, retaining some of the funky, industrial feel of the company’s Essex location. Instead of parking a food truck outside, as they did in Essex, the Citizen Cider crew will eventually serve their own raft of small plates. “We’ll probably have a small tapas-style menu and keep with food that goes well with cider, so maybe some Basque-style food and a few things from Brittany, Normandy and southwest England,” Nelson says. “Everything depends on how fast the contractor works on the innards of the place,” which right now is “pretty bare bones,” he adds. 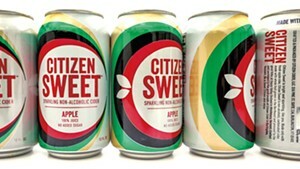 Citizen Cider is on track to produce 80,000 to 100,000 gallons of cider this year. Its line has grown beyond the flagship Unified Press to include a bourbon-barrel-aged cider and a dry-hopped cider, and soon the company will debut a cider made with organic apples and another fermented with Belgian witbier yeast called Wit’Sup.